As Inland Revenue continues to encourage tax payments to be made electronically, they have implemented changes to their tax payment systems. 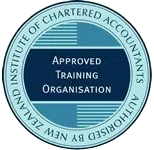 From 1st October 2014 onwards, cheque payments and returns must be received at Inland Revenue on or before the due date in order to avoid late payment penalties and interest. If you are using the postal method, please ensure you factor in enough working days to ensure your payment and return will arrive in Wellington on or before its due date. For convenience, IRD offers a range of online payment options including electronic payment by credit or debit card, internet banking, automatic payment or direct credit. For more information on all of the various options, click here.